Simple exterior changes can breathe new life into a home. 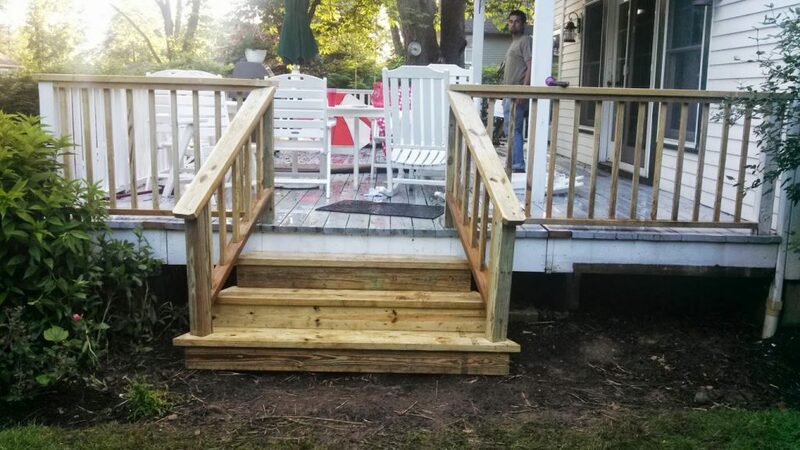 The owners of this home called in our team at Monk’s to remove the existing steps on their deck and rebuild them in a different spot, and with a different shape. In only two days our team had transformed the look of this home’s deck with new steps. To begin this project our team disassembled the deck’s original steps. Next our team began building the new replacement steps. The homeowners wanted the steps to be placed several feet away from where the original steps had been. All pieces were carefully measured to fit the design of the new deck steps. Our team at Monk’s built the new deck steps out of pressure treated lumber. Pressure treated lumber is a sturdy material that is also moisture resistant, making it an ideal choice for an exterior project such as this one. Besides building the new steps our team also installed new lattice and hand railing on the deck. The owners of this Mendham, NJ home wanted the design of their new steps to be tapered. The top step being four feet wide, gradually widening out into a six foot wide step at the bottom. Our team at Monk’s helped bring the vision of these homeowners to fruition with the design of their new steps. Once all carpentry work was completed our team applied two coats of solid stain to the new steps. 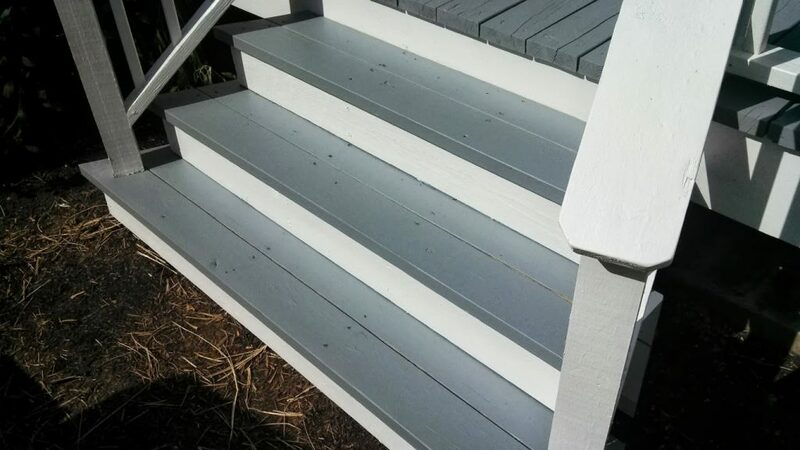 Not only would this stain help achieve the desired color the homeowners wanted for their deck steps, but it would also provide added protection against the elements. If you are considering a carpentry project for your deck we would like the opportunity to tell you why we think we are the best carpentry contractor in Mendham, NJ 07945.